The City of Gaithersburg is routinely ignoring state law and failing to perform daily tests on their speed cameras. 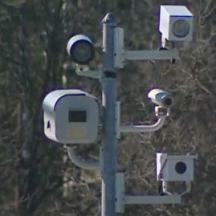 (i) States that the speed monitoring system operator successfully performed the manufacturer specified self test of the speed monitoring system prior to producing a recorded image;"
Three log files were obtained for a camera located at 500 S Frederick Road, and not one of those logs showed the daily self test performed on that day. For December 5 2009, the start of the period was Dec 4 and the end was Dec 7 -- 3 days. For Jan 17, 2010 it was Jan 13-19 -- 6 days. For Dec 27, 2009 it was Dec 18-28 -- 10 days without a 'daily' setup log. The response from the city showed that citations were definitely issued from the cameras on each of the three selected days. In addition to establishing that the devices have not been tampered with and are working correctly, the daily self tests are required to be kept and admitted as evidence in speed camera hearings. They are the basis for the county's claims about who is 'the operator' of the cameras, and of who represents the system in court. Plus IT'S THE LAW. The Gaithersburg City Attorney was then asked: "Is this the Montgomery County Safe Speed's standard operating procedure? And what is the legal basis for issuing citations when the 'daily' set-up log is signed only every 3, 6, or 10 days? If there is a city/county/state law, attorney general opinion, executive order, or other document which authorized this then I request to receive a copy." To which the City Attorney gave a simple one sentence response: "The City of Gaithersburg is aware of this provision in the state statute." Translation : 'We're the government, if we want to break the law who's gonna stop us?' And you know what, they're probably right. You don't expect the government to enforce the law against itself do you? Of course not -- even though this same government believes it is OK to put up cameras on every street corner waiting for drivers to accidentally break traffic laws so they can fine them. Unless The People stand up to the government when IT breaks the law and demand that it obey the law too, then there is no reason why the government would obey ANY law when it is not convenient to do so. We have discovered this is not limited to Gaithersburg's cameras and is also the case for some cameras managed by Montgomery County as well.